Traditional load testing tools create performance test scripts for your websites by recording HTTP/S protocol traffic. This results in scripts that are voluminous, hard to read and require dynamic correlation of session state for simple playback, making the entire load testing effort time consuming and strenuous. Cut down script creation time by 60% using our InstaPlay Recorder. Create, and playback complex test scripts immediately without any tedious correlation or coding. Since we record & test in real browsers, you don't have to spend time adjusting your scripts for dynamic elements like session IDs & cookies. Generate load using tens of 1000s of real browsers to give you the most realistic and accurate performance data of your web applications. Whether you're looking to test for a desktop, a tablet, or a mobile device, LoadNinja can help get the most accurate view of application performance. Analyze web application performance using navigations timings & other data sourced right from the browser. LoadNinja breaks down performance by step & action so you don't have to dig deep to identify bottlenecks. Inspect and debug performance issues in real-time with our VU Inspector and VU Debugger. 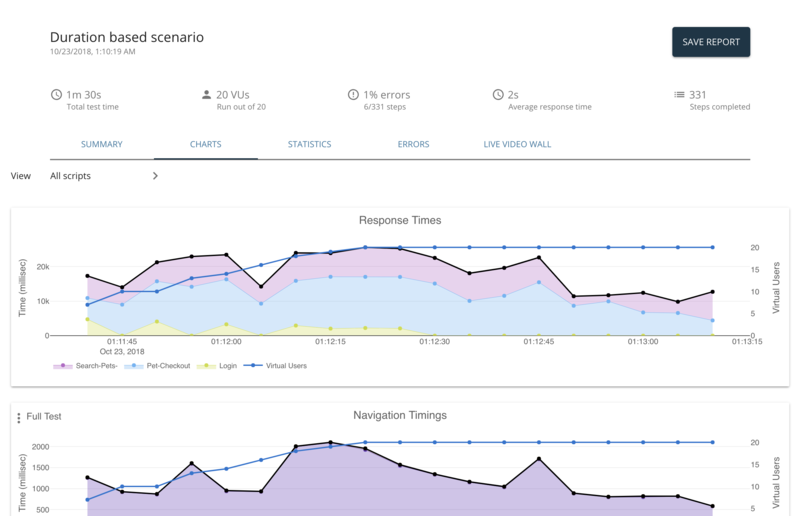 With the LoadNinja API, you can automate load tests and integrate into CICD workflows, making it easier than ever to scale your load testing using real browsers, increase test coverage, and manage tests. Execute, report on, and configure load tests - all without ever accessing the UI. Move rapidly without sacrifing quality or coverage by parameterizing tests & managing tests within Jenkins & Zephyr for Jira. Leverage a private proxy to record load tests for internal applications, use a dedicated IP for your load tests, or whitelist dynamic IPs before you run your tests, so you can get insights into internal application performance efficiently & effectively. 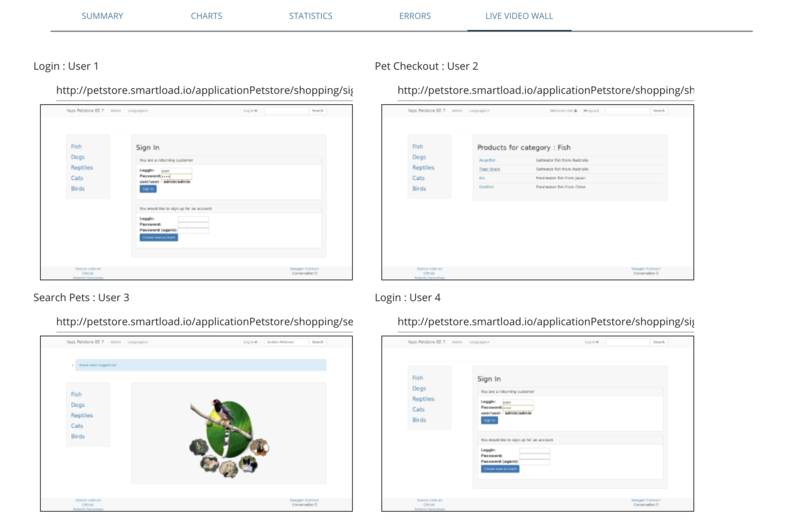 LoadNinja makes it efficient and effective to load test web applications. 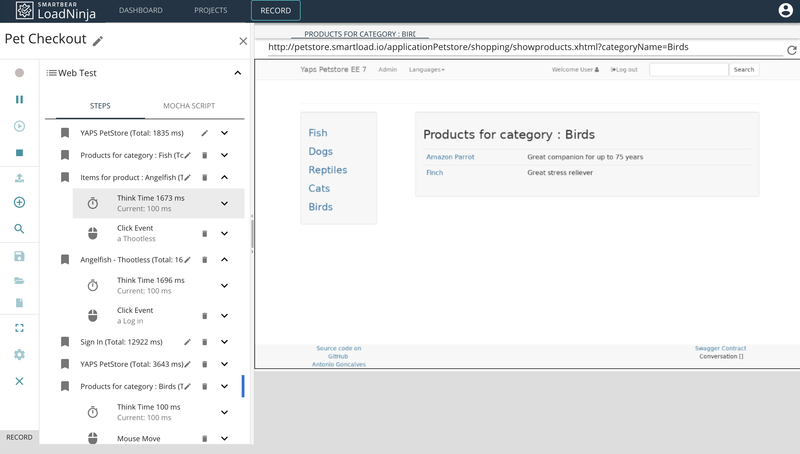 Whether you're looking to test dynamic web applications, private or internally facing applications, an e-commerce site, or just a static web app, LoadNinja can record and replay tests instantly. No correlation required. Since we test in real browsers, setting up a test is easier and more accurate than any other tool on the market. Load test web applications with a wide selection of configurations, device types, and virtual user requirements so you can troubleshoot performance deviations from your baseline. Understand your application's behavior under extended periods of load & debug in real time with our VU Inspector and VU Debugger. Validate that you application is ready for production. Understand where your end user experience degrades under sudden changes in load. Compare reports to analyze your performance degredation.